The unofficial but highly detailed exploration of Deception Pass! 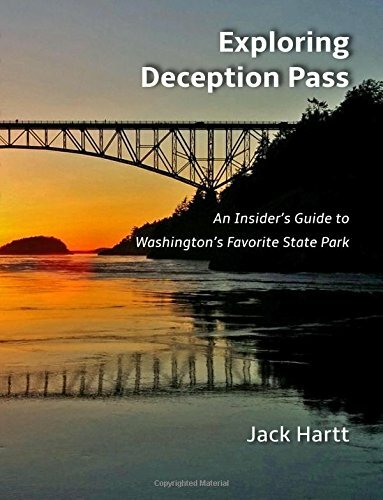 Having managed Deception Pass State Park for over a dozen years, Jack Hartt has come to know the park inside and out. With whimsy and wonderment, this guide shares insights into the places to explore, the plants and animals, the history, and the people who make it happen. Inside you will find practical suggestions to deepen your appreciation of the park, and to make your next adventures there more meaningful and memorable. Come to the Park entrance booth and purchase a copy, or through Amazon. All proceeds go to the Deception Pass Park Foundation to support resource protection through education.